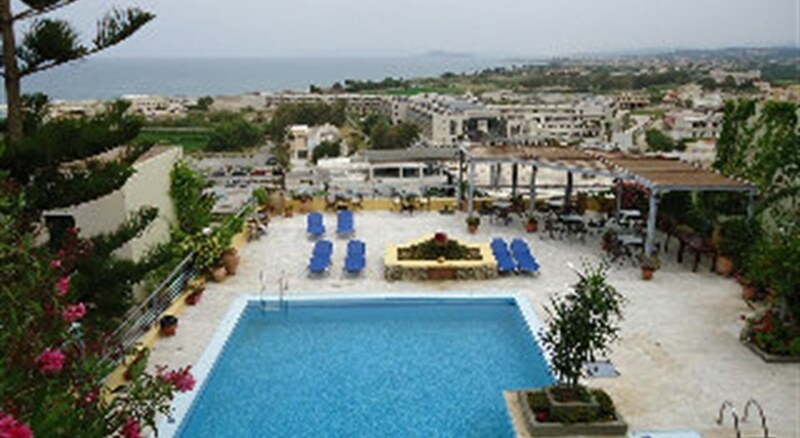 Aphea Village is an attractive and modern apartment complex situated in the peaceful area of Kolymbari, Crete. In an enviable location, the nearest beach is moments away, and the nearest city a pleasant drive away. The hotel offers 30 spacious and comfortable apartments, each entirely self-contained with their own entrances, garden areas, kitchens and separate bedrooms.Facilities include an outdoor swimming pool and sun terrace, restaurant, bar, wireless internet, air conditioned common area with satellite TV and gardens. Surrounded by palm trees and a stoneâ€™s throw from the ocean, Aphea Village is in tranquil and very beautiful area making it perfect for a quiet, rejuvenating beach break. The nearest is an idyllic stretch of sand in Kolymbari, just 400 metres from the hotel. It is ideal for swimming, sunbathing and playing games. The hotel is within easy reach of a number of local amenities including bars, restaurants and shops. Around a 20 minute drive away is the city of Chania, a popular resort in this part of the island. It is home to interesting sights and plenty of good beaches and things to see and do. Far enough away to be peaceful, yet close enough to reach easily, the village is in an excellent location in relation to the islandâ€™s attractions. Aphea Village is ideal for couples or groups seeking a private, self-catering apartment in a quiet area of Crete, minutes from the beach. The village has a beautiful pool area with plenty of space to relax, sunbathe and enjoys the views of the ocean. Aphea Village offers 30 self-contained apartments, each with private entrances, separate bedrooms, a small garden and balcony or terrace. Light and spacious, the apartments all feature a kitchenette, air conditioning, satellite TV, Wi-Fi, telephone, safe, radio and sitting room. Certain amenities may be payable locally. An air-conditioned restaurant for dinner and breakfast and a poolside bar for snacks and drinks throughout the day. Aphea Village is situated in the attractive Kolymbari resort in Crete, just a few minutes from the nearest beach and around 20 minutes by car outside the lively city of Chania.